Safe Teen Driving Blog - Page 38 of 67 - Safe Teen Driving Blog - Providing a solid base for teen drivers by improving behavior, attitude, skills and experience. 1. Study the handbook. It’s surprising what kind of motivation teens have when it comes to studying for their driving test. The written part of the driving exam is pretty much like other tests for classes in school: you have to study to pass. You don’t study, you fail. You never know which part of the driving manual will appear in the exam, so it important to be well versed on the material to increase the chances of passing. If you decide you want to practice more, you can sign up for a drivers license practice test online course. You’ll get to see over 1,500 questions and answers similar to those found on the written driver’s test, along with detailed explanations. 2. Find out about the local GDL laws. Different states have different Graduated Drivers License (GDL) laws, and it’s worth noting that many states have varied age and time of day restrictions, passenger and mobile device limitations, and educational requirements before teens can get a full license. Also, the penalties and ordinances change depending on where you drive. Be familiar with the laws and ordinances for teen drivers for where you live and the places you plan to drive with your teen. 3. Make a covenant with parents. Straight talk and clear guidelines between teen drivers and their parents or guardians will assist teen driver safety. Setting boundaries that teens and parents can agree on will give teens an idea of the responsibility they will be undertaking. A Teen Driving Contract will help to guide and establish the expectations and consequences of driving privileges and behavior. 5. No, focus makes perfect. Learning to maneuver the vehicle with ease and control is a milestone. But if a teen cannot stay focused, they are not ready to drive alone. This tip works in conjunction with the tips above. Giving each task the required amount of attention will make teen drivers reach their goal of becoming better drivers. Removing distractions to driving and keeping them focused on their interaction with the changing driving environment will not only make getting their license easier, it will help them be a safer driver. Use these tips to help to set your teen up for success as they embark on preparing for their license. It is an exciting time of new endeavors and more independence. Have fun and be safe! When a driver decides to take a DMV Test for the first time, they’re all supposed to be confident. If they’ve studied the handbook and familiarized themselves with the rules of the road, listened to the lectures, and took up a DMV Practice test, they are bound to pass in no time. When taking a DMV Test for the first time, confidence is the key. If they’ve studied the handbook, and familiarized themselves with the rules of the road, listened to the lectures, and a have taken a DMV Practice test, they are bound to pass with ease. A big problem for new drivers is where to start. Knowing which parts of the driving manual are most important and how the information will relate to actual, real life, driving can be confusing. Taking a DMV practice exam can help. A DMV Practice test is a mock exam that simulates the experience of taking the actual written portion of the exam, without the risk of failing and having to wait the required waiting period before getting to take it again. Treat the DMV Practice Test as if it’s the real thing. If a driver studies as hard for the practice exam as if it’s the real thing, he or she will be better prepared. In the real exam, no two test-takers will get the same set of questions so, for that reason, the practice exam creates a random test from a large data base of questions taken directly from the driving manual. Avoid Distractions. Focus on what you learned in driver’s ed and just answer the test. Not only will this help you study, but it will also help you learn the importance of being focused. Distracted driving is fast-becoming one of the most common hazards on the road, and by setting the habit of avoiding it, a driver ensures himself a future of safe driving. Be confident in your abilities and what you’ve learned. This is one of the reasons why students fail their DMV test and a practice test is a way for a driver to get rid of that nervousness by getting more informed with what to expect from the real thing. Enrolling in a DMV Practice Test is always a good idea for new drivers. It builds confidence and helps first-time drivers become guided in where they should start when studying for their driving test. Working in the driver safety field for over a decade, I find myself giving parents both solicited and unsolicited advice. I am passionate about teen driver safety, not only because I was a teenage driver at one time and made irrevocable mistakes along with many of my friends, but also because I am a parent who is concerned about my own teen drivers and their friends on the road. Driver ed is not a one time deal. From the ages of 14 to 19, parents need to approach driver training as driver continuing education. Aspects of continuing education include: safety awareness, prevention education, introductory teaching, skill development, intermediate education, additional driving exposure and defensive driving education. The Governor’s Highway Safety Administration (GHSA) and many individual states are aware of the importance of continuing driver education. As parents, it is time that we change our attitudes and recognize the value this type of training provides. By the time a soon-to-be driver is 14, they realize that it won’t be long before they are behind the wheel. They become more aware of how you, your family members and other adults they travel with drive on the roads. They notice when you speed, try to multi-task, weave in and out of traffic, try to beat the red light and fuss about other drivers. It can be done in a classroom setting with an instructor or online at their leisure. At this point, your teen hasn’t even started the vehicle and quite a bit of education has already begun. This is a great time to create a Parent-Teen Driving Contract, which will establish the boundaries, responsibilities and privileges of driving during their teen years. Also keep a driving log; to keep track of the amount, type and time of day that driver training was conducted. Show them the equipment, gauges and their functions on the interior and exterior of the vehicle. Begin very simple skill development regarding pre-trip inspections, starting, stopping and parking. The next step is to move into intermediate education and intermediate skills. You may want your teen to take a driver’s education class or practice with an instructor. If you plan to take on the instruction yourself, it should be during this stage that you dedicate time (most states require 50 hours supervised) exposing them to highways, specific weather conditions and driver safety practices such as how to properly use the vehicle mirrors. What type of driving behaviors do safe drivers demonstrate? What type of attitudes do other drivers bring behind the wheel? How should a safe driver respond to harried, angry, or inattentive drivers? How important is being rested to making safe driving decisions? Walk through vehicle emergencies, not only handling their vehicle, but also how to respond to another vehicle experiencing an emergency such as a blown tire. Enroll your teen in a defensive driving class either right before they get their license or soon afterwards. While they may know how to drive, they haven’t been ready to fully understand defensive driving techniques for themselves. Don’t wait until something happens that requires them to take a class. During that first year, it is important to phase in how much access to the vehicle they have, the time and under what conditions they drive, and the number of passengers, if any allowed. Driving is such an important step in a teen’s development, but it can also be very dangerous. It is up to the parents to establish and enforce a strong graduated licensing system. Remember that driver education is ongoing over the teenage years. Driver education is continuing education. Since the invention of cars, drivers have had some sort of device to play music even if it was portable. Many years ago, when you drove your car, you only had the radio to listen to. The radio was proven to be a distraction even then. As technology progressed in vehicles, drivers had the option of having 8 tracks, cassette and then CD players installed in their cars. With today’s technology, tapes and CDs are an item for the history books. Now the major media devices are MP3 players and iPod’s. These small music players have the ability to hold someone’s entire music collection in a small “razor thin” electronic device. Now people can listen to their music on the go…anytime, anywhere, which has posed some problems. In the last few years, manufactures have been installing inputs in vehicles that allow people to hook up their MP3 or iPod players. 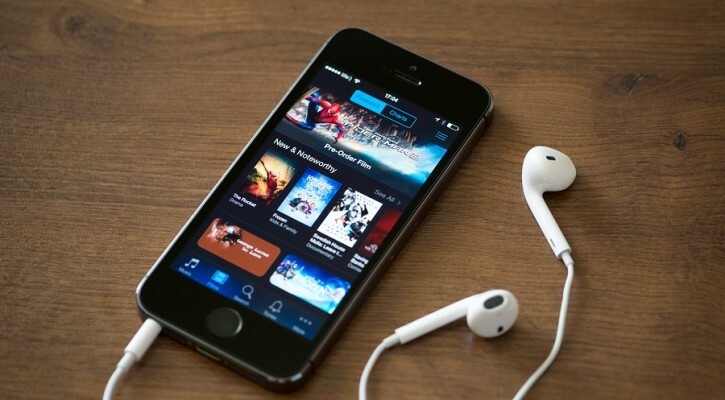 If you are not able to have a new car with an MP3 player connection it can be difficult to listen to your music. Lacking the proper connection, some drivers have turned to listening to their MP3 and iPod players through their earphones while driving their vehicles. While driving any vehicle, using earphones presents many risks and is illegal in most states. The most obvious reason this is dangerous is that you cannot hear what is happening around you. With headphones on, it becomes very hard to hear emergency vehicles, and other cars that might honk to alert you of a pedestrian, another vehicle or potential hazards. In addition, wearing headphones prevents you from hearing your own vehicle which may be making noises indicating a mechanical problem. A final problem with using your MP3 player in your car is the potential distraction, even without the earphones on. Many iPod’s and MP3 players have enough storage space for your whole music collection. With a great amount of songs to select from, driver’s can be distracted scrolling through songs and picking the “perfect” driving playlist. Not only is it illegal to wear headphones while driving a vehicle, but it is also illegal to wear them while riding a bicycle. Remember most states apply their driving laws to cyclists, which includes proper use of hand signals, lane obedience, etc. Many times a vehicle is not able to see bike traffic, so it is even more important cyclists hear cars and trucks. If your vehicle does not have a MP3 or iPod hook up consider buying a FM transmitter or a cassette tape adapter. Both of these devices will enable you to play your music player through your stereo. In order to avoid becoming distracted while driving make up some playlists of your favorite songs, this way you will not be scrolling through your music collection trying to pick out songs you like. If you find that you have dropped or need to adjust your music player, find a safe place pull into. If you must pull of the road, pull all the away off and give yourself three feet of extra space margin away from the roadway. This will provide extra protection from a distracted driver who may drift into your lane and with give you a better view when you are ready to get back on the road. By following these tips you can reduce your distractions and enjoy driving while listening to your favorite music. Tips for Teens: When is the Speed Limit too Fast for Conditions? Many teens are so excited to get their driver’s licenses that much of the training they received prior to licensure is quickly forgotten. But it’s important for new drivers to follow the fundamental rules of the road, and adapting speed to conditions is one rule that’s frequently broken. Driving too fast for conditions is considered speeding and can result in a traffic ticket. But that’s not the only reason to slow down – driving too fast for conditions is a contributing cause of many motor vehicle crashes. Motor vehicle crashes are the leading cause of death for 15- to 20-year-olds (based on 2005 figures, which are the latest mortality data currently available from the National Center for Health Statistics). A 2009 analysis of speeding-related crashes by the National Highway Traffic Safety Administration (NHTSA) shows that following the speed limit is not enough to prevent a crash when conditions warrant a reduction in speed. The study showed that in speeding-related crashes that caused one or more injuries, 26% of the crashes were contributed to be exceeding the posted speed limit, while 74% were due to driving too fast for conditions. In property-damage-only crashes where speed was a contributing factor, 18% of the crashes were due to exceeding the posted speed limit and 82% of the crashes were contributed to by driving too fast for conditions. -immediately when it begins to rain. Roads become very slippery just after the rain begins, because the rainwater mixes with oil on the road that has been dropped from passing vehicles. Driving too fast on wet roads can result in skidding, when the vehicle loses traction with the road and the driver loses control of the vehicle. -when roads are slippery due to snow or ice. Vehicles have even less traction on snowy or icy roads than they have in rainy weather. On icy roads, drivers should slow to a crawl and get off the road as soon as possible. –in foggy or smoky conditions. Fog and smoke make it difficult to see ahead, and reducing speed reduces stopping distance. -before a curve. Too often, drivers realize that they are moving too fast when they are already in the curve, but lowering speed in a curve results in a loss of traction that could cause a skid. Always reduce speed before entering the curve. -in construction zones. Lower speed limits are usually posted in construction zones, but the new speed limit may not be low enough, especially for new drivers. The distraction of all the activity in the work zone and changes in the road surface can cause more difficulties for drivers who are inexperienced. -around school zones and playgrounds. Again, lower speed limits are posted in school zones, but children are often present when the lowered limits are not in effect. Children are unpredictable and may walk, skate or bike into the road without checking for traffic. -at night. 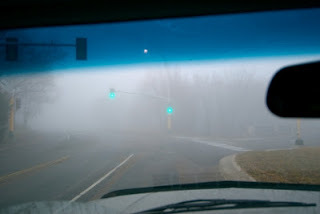 Visibility is reduced at night; street lights and the vehicle’s headlights cannot entirely make up for this. It’s also important to monitor your speed carefully on rural roadways with higher speed limits. Since the speed limit is already high, it’s easy to drive too fast for conditions, which often include curves, animals, farm equipment, and roads that are not well-maintained. Pressure from teen passengers should also be considered. Passengers may encourage the driver to travel at or above the speed limit. Resisting this pressure is an important exercise in maturity for teen drivers and is an integral part of keeping their driver’s licenses. Unfortunately, it could even be a life-and-death matter.